Never play with the future. 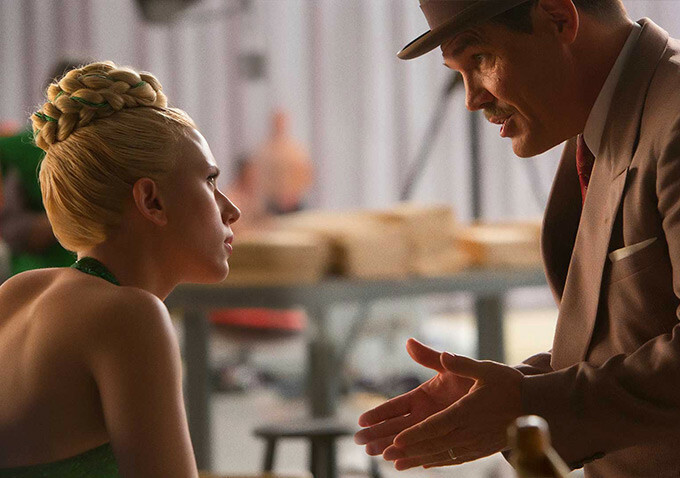 Eddie Mannix (Josh Brolin), is a studio head—a fixer, actually—for Capital Pictures in the 1950’s. His main job is to protect Capital Pictures’ stars, sweeping unsavory life details and anything that can generally hurt the image of the studio. It isn’t an easy job having to deal with the issues superstars Baird Whitlock (George Clooney), female equivalent DeeAnna Moran (Scarlett Johansson), or up-and-comer Hobie Doyle (Alden Ehrenreich) bring to the table, but it has provided Mannix with a comfortable living. It has also presented Mannix with much stress at times, and a less than fulfilling home life. 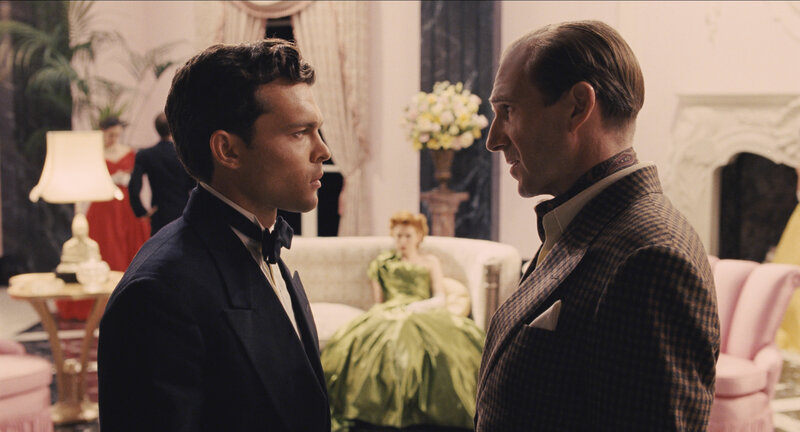 The stress only increases when Baird goes missing off of the set of Hail, Caesar!, a film that is destined to be a critical and commercial success with its robust production. The only lead that gives Eddie any indication as to where Baird is comes from a group known as The Future, who have abducted the superstar, and are requesting $100,000 for his release. What do they want with him, and what do they want as a group? Over the years, no matter what they’ve done, directors Joel and Ethan Coen always seem to have at least some modicum of humor in their films. Even in grim features like No Country for Old Men or True Grit, there’s a little laughs to be found. Hail, Caesar!, the most recent directorial effort from the brothers, finds its humor in the Hollywood film industry of the 1950’s. It generally is an amusing view, but carries the feeling upon viewing that it is nothing more than fluff. Hail, Caesar!, like the movie with the same name featured in the movie, features amazing production. It’s obviously very early in 2016, but this appears ripe for nominations in production and costume categories. The 50’s on a major movie set are fully realized. And, it doesn’t hurt to have famed cinematographer Roger Deakins lending his hand/lens/eyes to the production. The lighting, how recorded movies appear, and everything as a whole just adds to the immersion of seemingly watching something in the respective decade. And there are laughs to be had with a good deal of it, being quirky, ridiculous, and farcical. While it may not be as funny to one who did not grow up with the 1950’s and/or has no working knowledge of those films, those who aren’t up to speed with every industry development in that decade (like yours truly), are not left out in the cold. Some of the humor simply derives from seeing Clooney, Fiennes, Johansson, Tatum, and the like, appear, kind of similar to Tropic Thunder. 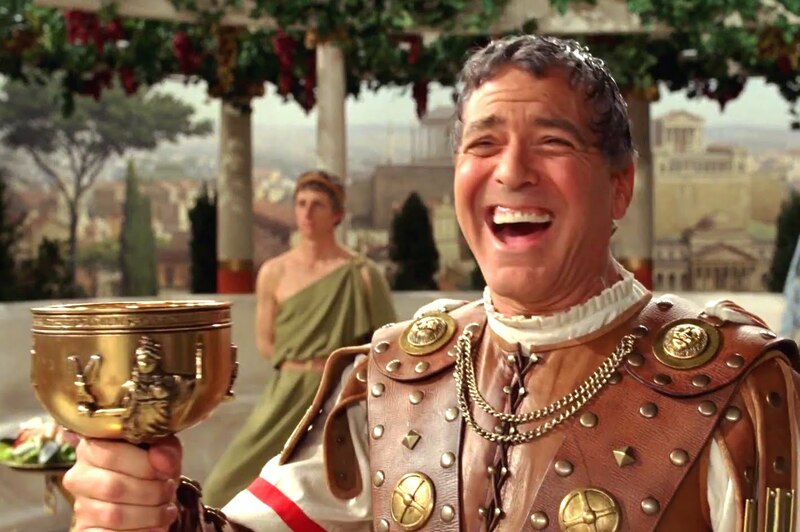 Hail, Caesar!, while fun, does lack something that the Coens usually deliver: A sound script. The central story is a mystery, but the details are revealed early, thrown in with some political commentary about the times. As such, since there really aren’t that many twists (even the one twist is meh), the second half does make the movie drag. Part of it is a lack of coherence. All of the short scenes of the films within the film that are shown are wonderful, but when it comes back to the central story, it doesn’t click, because some of these characters have no bearing on the main story, or come in somewhat shoehorned. In a way, I thought of Grindhouse when watching this; namely, the trailers that showed before that feature, and thinking how those trailers would be as full length films. Only difference is, these moments are actually embedded within Hail, Caesar and occasionally disrupt the flow of the feature, but the thought is the same. The plot disappoints, but the thespians don’t. Aside from a strong Josh Brolin, whose Mannix has some depth and realness to him, all other characters are of the one-dimensional and in some cases caricature variety. Here, though, that isn’t such a huge issue, because of the source material that the Coen brothers are working with. It just means, by design, you’re always seeing Clooney, Johansson, Tatum, etc. in fancy period garb having a good time. Even in a star-studded cast, the standout coming out of this is likely to be one of the lesser knowns in Alden Ehrenreich, absolutely nailing it with his cowboy persona trying to make it as a more dramatic star. Would that it were so simple? Yes, that line was gold! Good point about the Mirren and Swinton comparisons, I don’t know why people loved Mirren’s role so much. I thought it was too over the top. 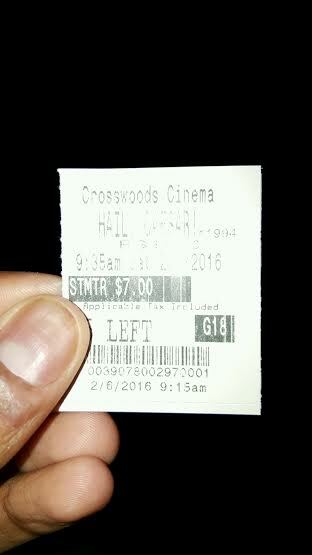 Hail, Caesar is fun! I think it is just light and ultimately fluff. Yeah I didn’t go into depth on Tatum’s story at all, but that was bizarre and not in a good way, really WTF?! it was. And then the movie hardly even touches on it and things go on their happy merry way. I liked the movie within movie bits, but the actual meat of the story is very weak. You’re probably back about the brothers bouncing back with their next film. I think I just expected it to be more…I don’t know…cohesive? I’ll remember things about this movie, mainly the great movie within movie bits, but not it as a whole.